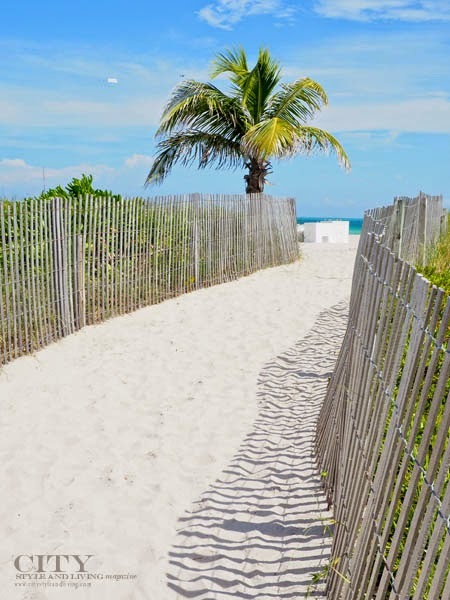 The Ritz Carlton South Beach located on sunny south beach felt remarkably tucked away and private. Our Lanai Pool View room offered a partial ocean view, and at night we could hear the ocean waves washing ashore. 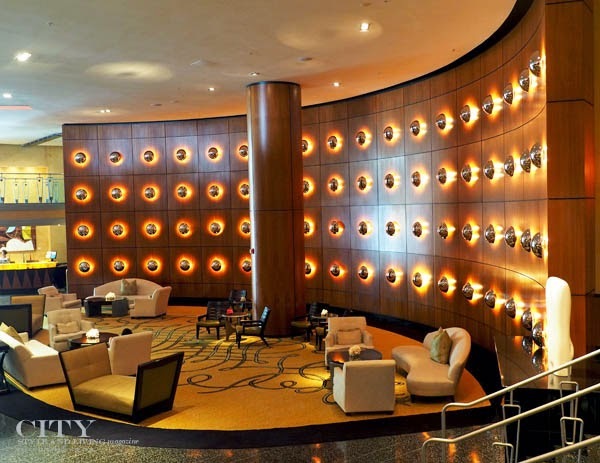 A look at the lobby at The Ritz Carlton South Beach. 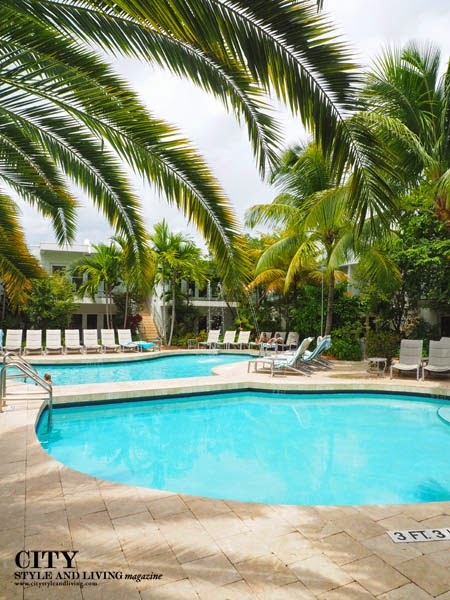 The hotel features collection of modern art throughout, and even offers tours during Art Basel. 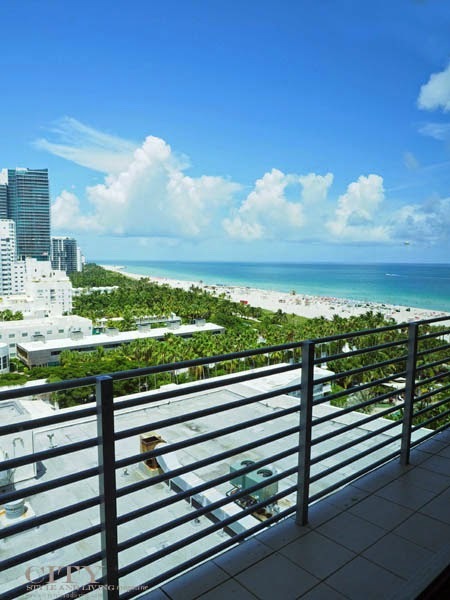 A look at the azure ocean from the Ritz Carlton South Beach 10th floor Club level lounge. 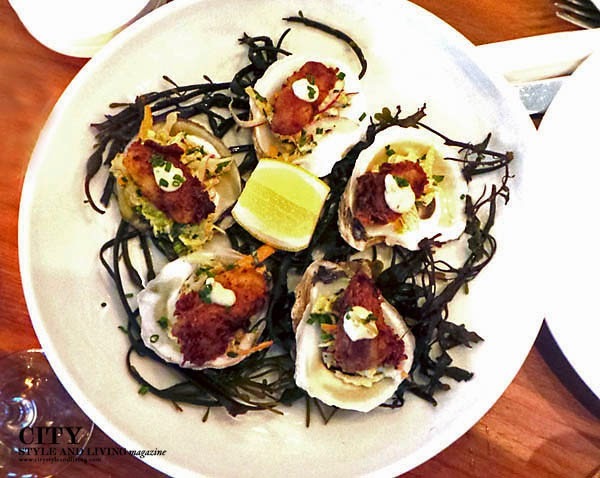 One of the hotspot restaurants in Miami, Meat Market focuses on a meat heavy menu- don't forget to order dessert. This key lime cheesecake was zingy and bright. A look at famous South Beach- the beach was packed the day we visited, even at almost 40 degrees Celsius. Fried oysters at Lure Fishbar. This was a standout in Miami. 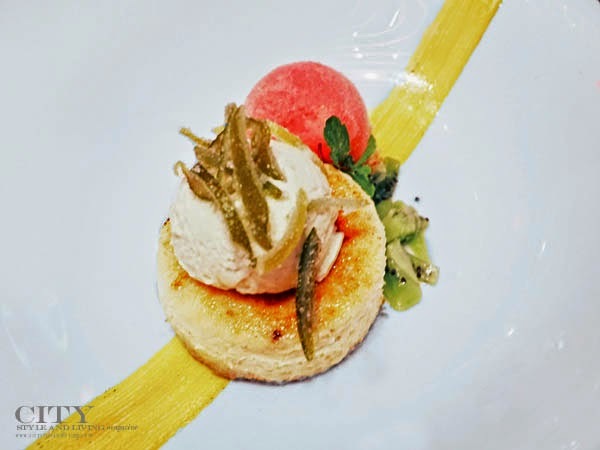 We were treated by Executive Chef Iatrellis to a lavish coursed menu with everything from deviled eggs, soft shell crab, and Japanese rolls to baked fish and a creamy and refreshing sorbet (a must have dessert, one of the best desserts we have ever tasted). 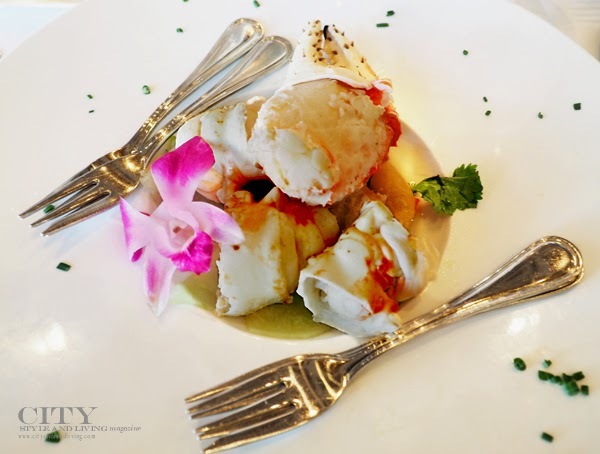 With an open sushi station where diners can see chefs preparing rolls, garnishes and all manner of seafood an old school bar and a spectacular dining room this restaurant located at South Beach Loews Miami Beach Hotel is a go-to if you love seafood. 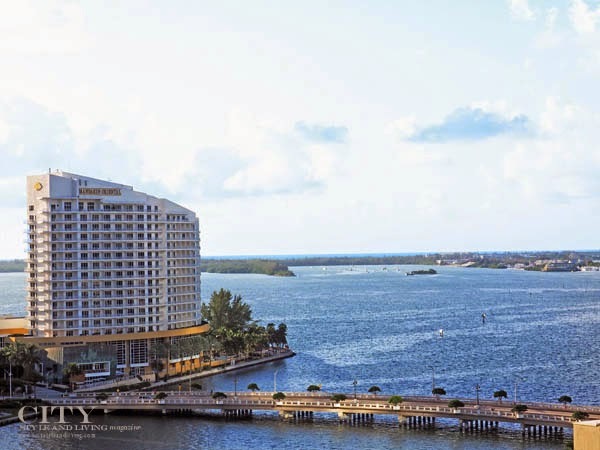 A look at the Mandarin Oriental Miami on Brickell Key. 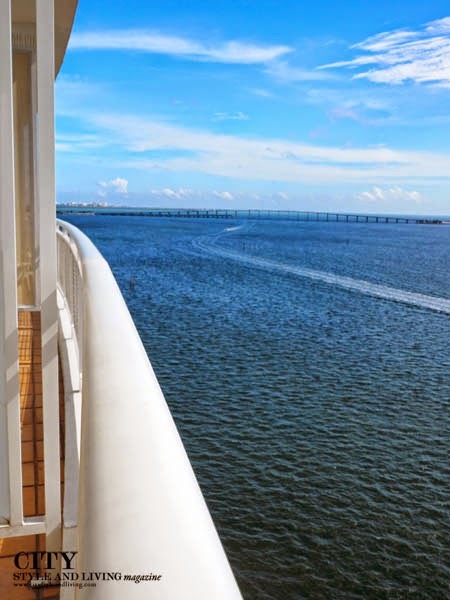 My deluxe bay view room, overlooking the calm blue waters of Biscayne Bay was a sight to behold both during the morning sunrise and when lit up at night. 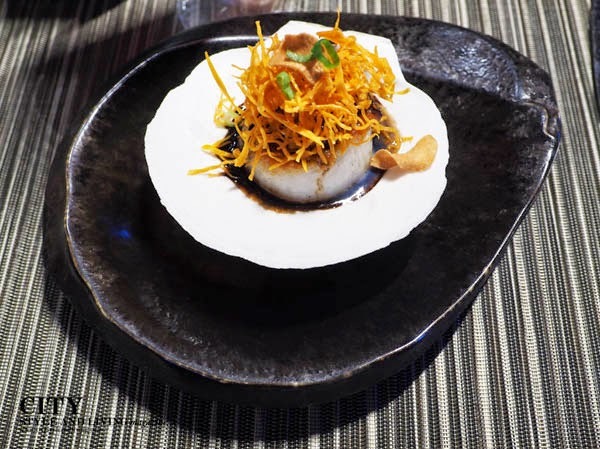 One of the best meals in Miami was at Peruvian restaurant La Mar by Gaston Acurio. The restaurant was packed to the brim on a Friday night and the friendly staff made the experience a truly memorable occasion. We started with pisco sour cocktails, and even tried Peruvian wine to pair with our absolutely outstanding menu which included: Causa Cangrejo (whipped peruvian potatoes and ají), Paiche chorillana, Conchitas (pictured here: seared scallops with lomo saltado, garlic chips and shoestring sweet potato strings). Don't even think about skipping dessert. From the fortunato chocolate mousse with caramelized andean grains to the frozen lucuma popsicle dipped in warm dark chocolate, and the stunningly crisp sweet potato and pumpkin fritters drizzled with spiced honey, and the deconstructed pie de limon, La Mar hit it out of the ballpark with punches of flavour in every bite. 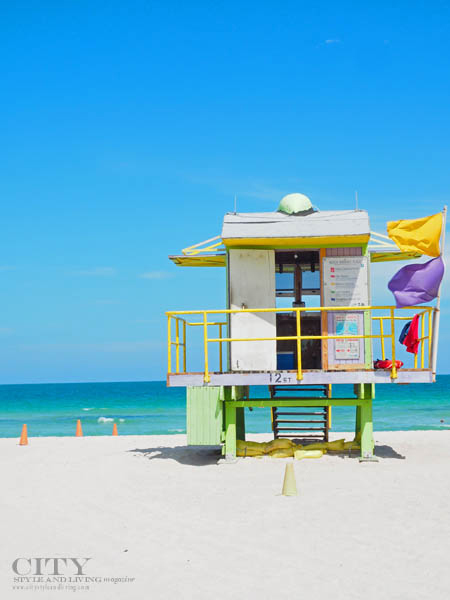 A look at one of the many colourful lifeguard stations on South Beach. Hoards of red roses in a iron vase greet you walking past the front door of The Setai. Dinner at The Restaurant with French chef Mathias Gervais at the helm was a journey to the Mediterranean. 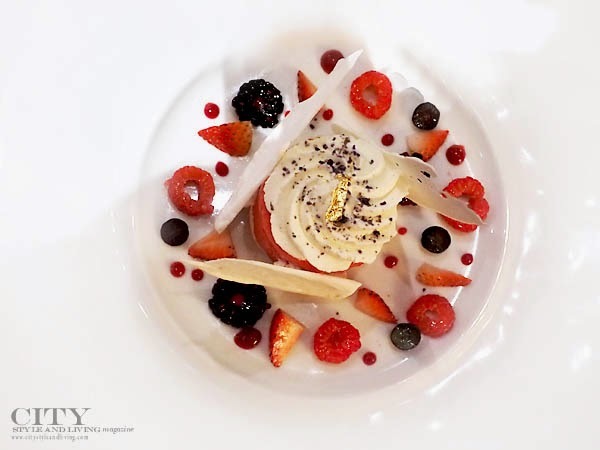 The menu (personally chosen by the friendly Chef) included a rich and creamy tuna tartare bursting with red tobiko and capers , grilled octopus with piperade sauce, lamb tajine, and giant grilled prawns. We finished with 'The Vacherin'- vanilla ice cream with berry sorbet, whipped cream meringue and raspberry coulis. 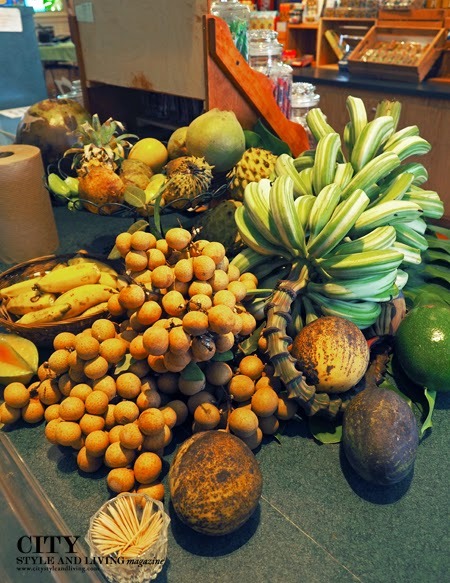 Exotic fruits from Fruit and Spice Park Miami, a 40 minute drive into Homestead. 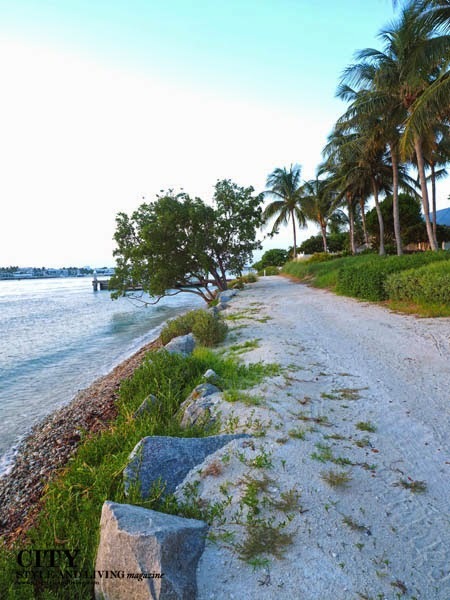 The 37-acre public facility is owned and operated by the Miami-Dade County Park and hosts over 500 varieties of fruits, vegetables, spices, herbs, and nuts, and other commercially important plant specimens from around the world. 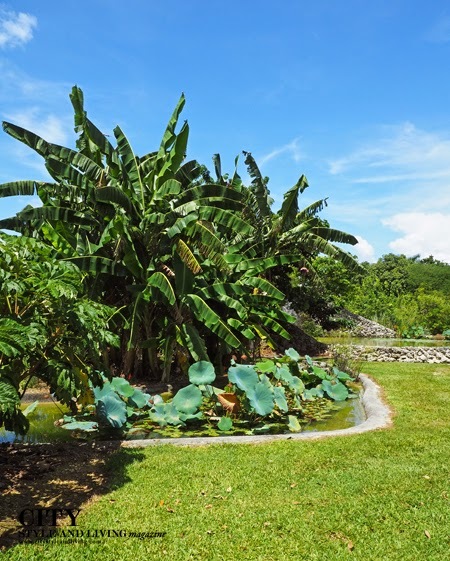 Fruit and Spice Park Miami showcases 150 varieties of mango, 75 varieties of bananas, 70 bamboo varieties, and numerous other exotic edibles. The park also features a cafe. Breakfast at the Viceroy Miami. 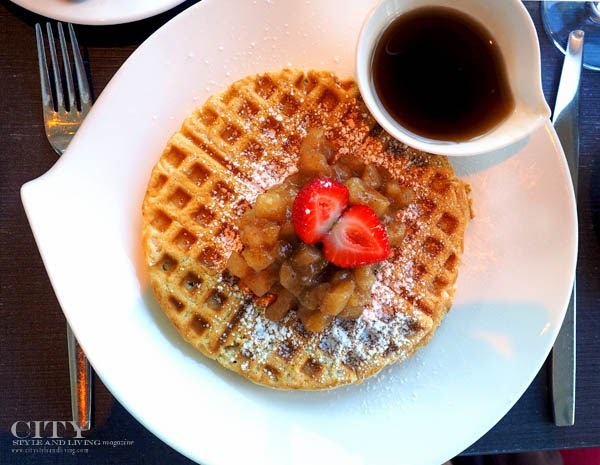 Located on Brickell Avenue, we had a simple breakfast before taking a morning stroll. 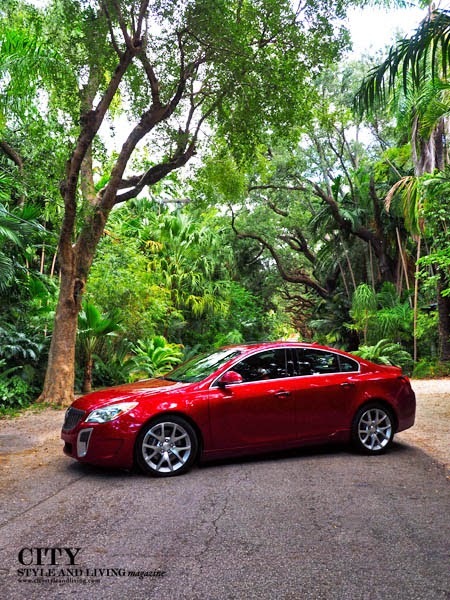 A look at the stunning Buick Regal that CSL's team drove during our trip, pictured here on a quiet street in Coconut Grove, one of the most picturesque neighbourhoods in Maimi. The Regal drove like a luxury vehicle and was a pleasure to drive from Miami straight down to the keys. 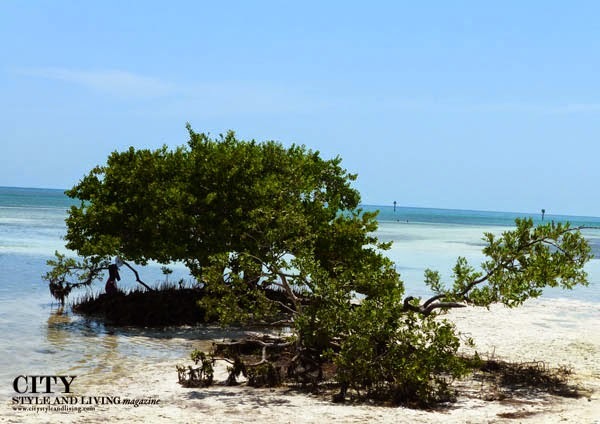 One of the first stops along the way to Key West, Annes Beach on Lower Matecumbe Key. The quiet 'flats' were so peaceful. A few birds skit along the shallow water while dozens of tourists walked meters into the water with the water level only knee high. 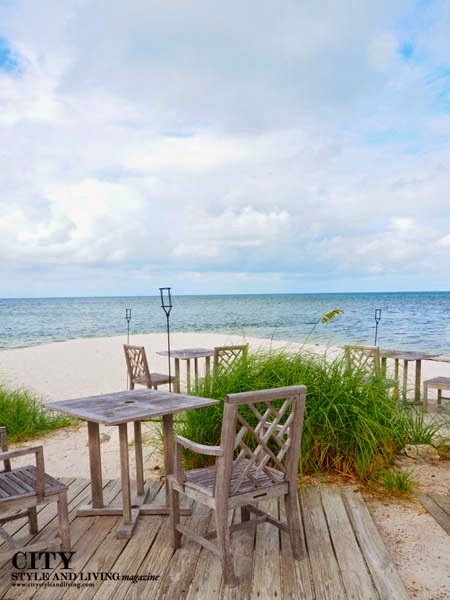 In need of a little extra fuel, we stopped on Islamorada at The Beach Cafe at Morada Bay. 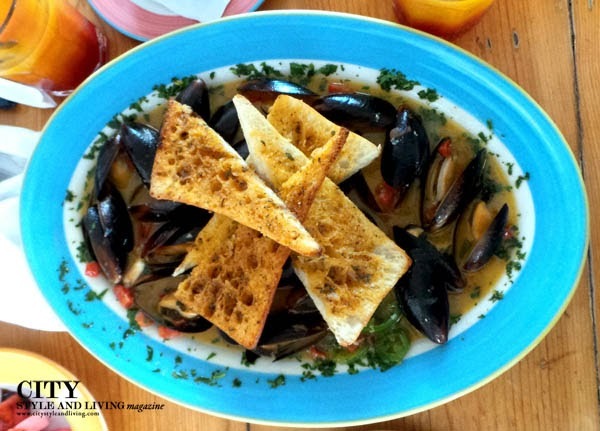 We tried the cheese stuffed yucca chips, calamari, and conch fritters, but the standout was the mussels in a wine sauce with garlic toast was delicious. As the Manager chimed in 'I sometimes see people just bring the bowl to their mouths and drink the sauce, because it's that good'! 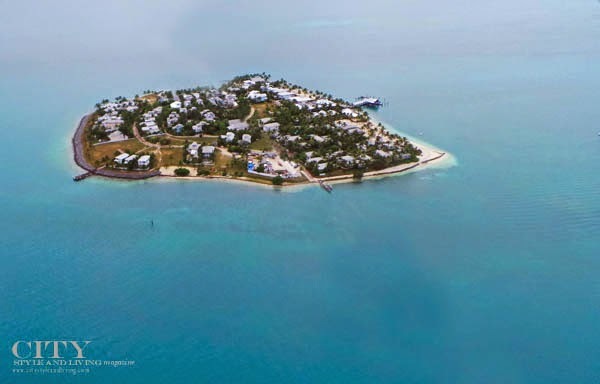 An aerial view of Sunset Key, (taken aboard Key West Biplanes) located a short boat trip from Key West. 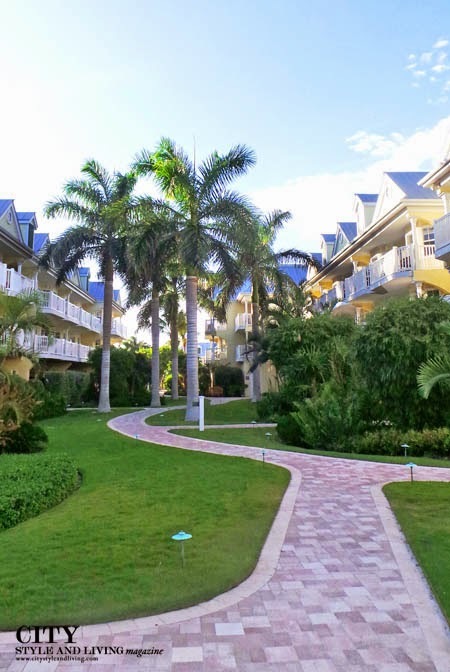 Upon reaching the secluded key, our concierge showed us around the property; she arranged dinner and spa appointments and chatted with us throughout our stay. Our 1500 sq ft three bedroom cottage, "leeward" became our home away from home. 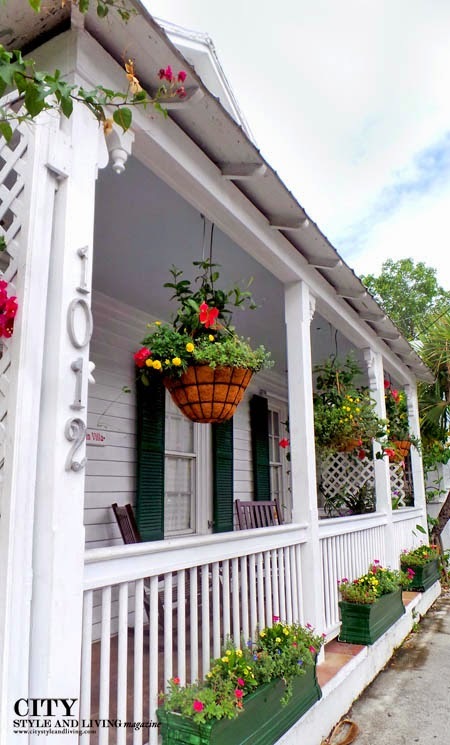 Every morning we were greeted with a breakfast basket on the front porch with freshly baked pastries, fruit and fresh Florida orange juice (of course). Upstairs our kitchen became a great hangout spot while outside on our two verandas, the Adirondack chairs were a great way to relax while watching the sun set in the evening, or to have breakfast in the morning. Dinner at Latitudes restaurant at Sunset Key. Alaskan king crab in a thai style broth was the special that night. 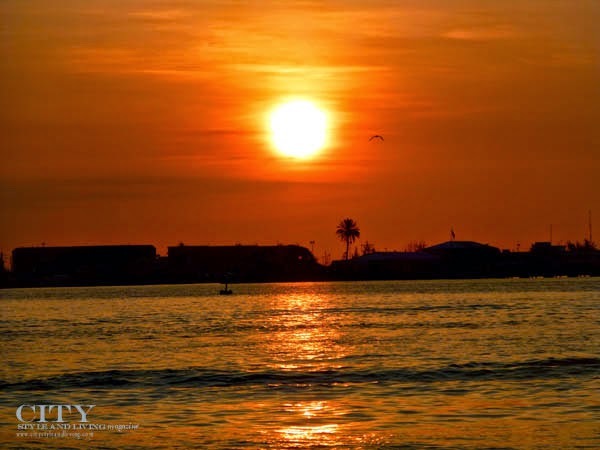 Every night, the restaurant was packed with guests who enjoyed the spectacular orange sunset while eating dinner. 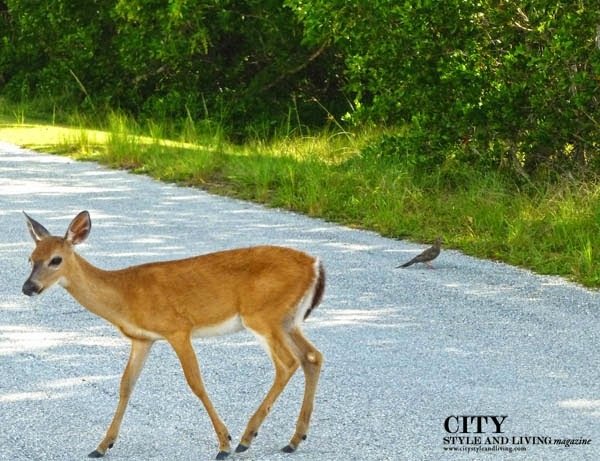 A look at the adorable Key deer that we were fortunate enough to spot on Big Pine Key. The tame deer (they have no predators), are used to people, and do not scamper off when you stop to see them up close. 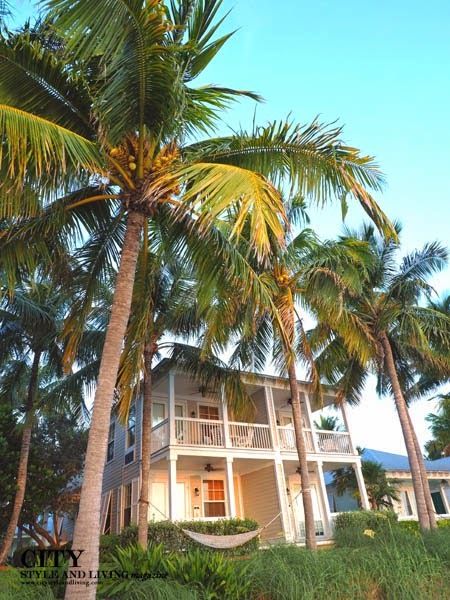 A classic home in Key West - a mix of Caribbean/ shotgun/ American architecture. 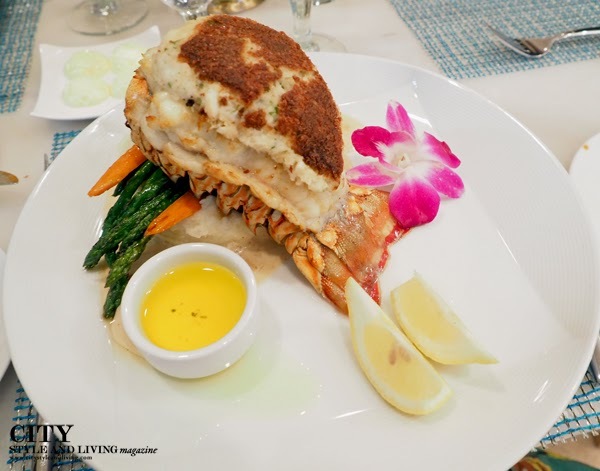 Stuffed lobster with blue crab and mashed potatoes at Pier House Harbourview Cafe. Each and every night the sunset was deeper and richer. 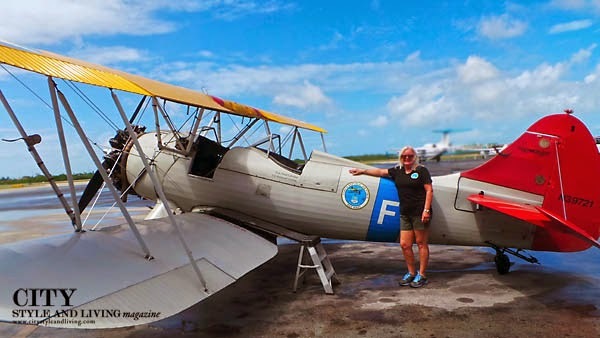 We were fortunate enough to take a ride way up in the air with Key West Biplanes, the only original Key West Biplane Ride operation since 1987 operated by Susan Cabanas (pictured here). The fleet of planes includes the Conch Republic Air Force Waco and the Cabanas Aerobatics Pitts S2-C. You can fly with Key West Biplane chief pilot Raymond Cabanas, a fifth generation Conch, second generation pilot, and Commanding General of the Conch Republic Air Force or one of their Colonels. 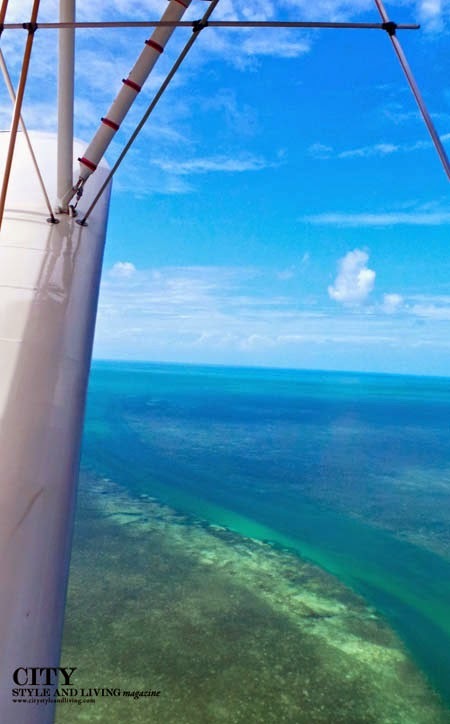 Decked out in aviator goggles and caps (think Amelia Earhart), we took off on a memorable flight with pilot Les, who gave us a unique perspective of Key West. Our flight offered spectacular aerial views - from above, the water was various shades of turquoise, blue and cyan and you could see the outline of the enormous coral reef. Les also pointed out the landmarks throughout Key West. This was one of the highlights of our trip and a great adrenaline rush. If you've seen period films that celebrate the golden age of travel, or if you adore flying this is a fun way to see the island. (If you're apprehensive because you don't like flying reconsider as we did not experience any bumps or turbulence and the scenery is spectacular). We opted for the 15 minute tour but longer tours are available. If you are in Key West, you MUST dash to Pinchers Crab Shack. 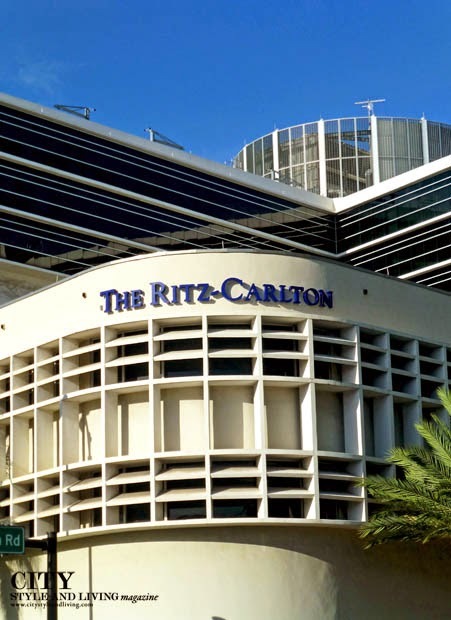 The Phelan family owns and operates this restaurant (with several locations throughout south Florida). 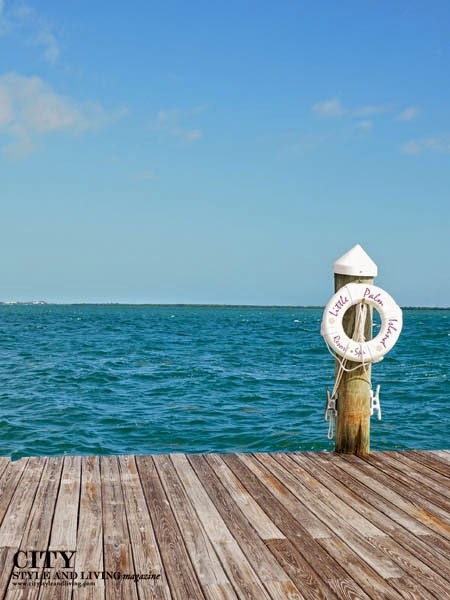 They also own their own fishing company, The Island Crab Company- each morning local fishermen and crabbers guide their boats out into the Gulf of Mexico to harvest the freshest seafood. The result? 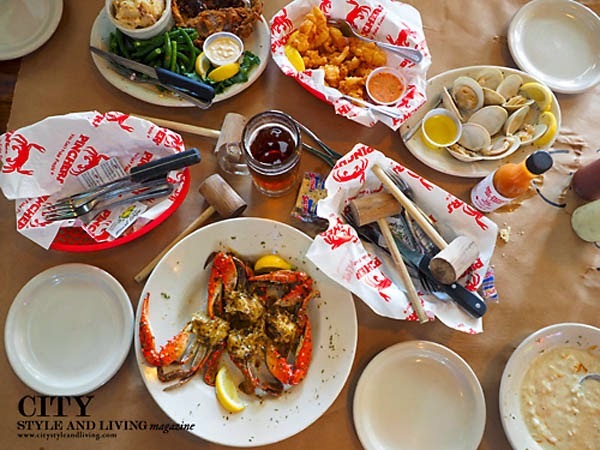 Lick your fingers good seafood- from the creamy New England Style Clam Chowder to the crisp soft shell crab, steamed sweet clams and Blue Crab Clusters sauteed in garlic, butter and spices. 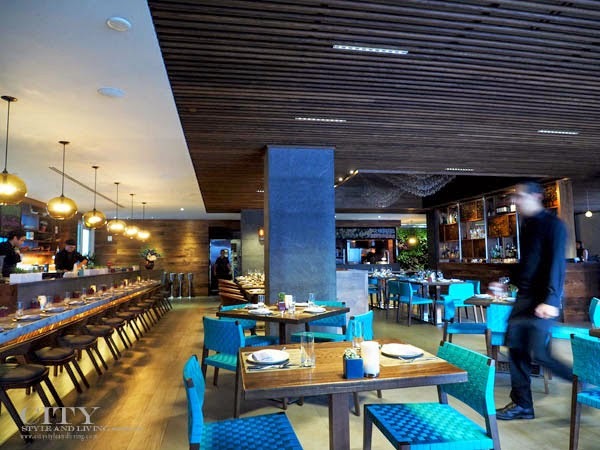 Even better, the entire restaurant was decorated by Mr. Phelan- the oil can light fixtures, hand perforated with local fish, to the artwork on the walls (all with a cheeky seafood inspired theme), Pinchers is as authentic as you can get. 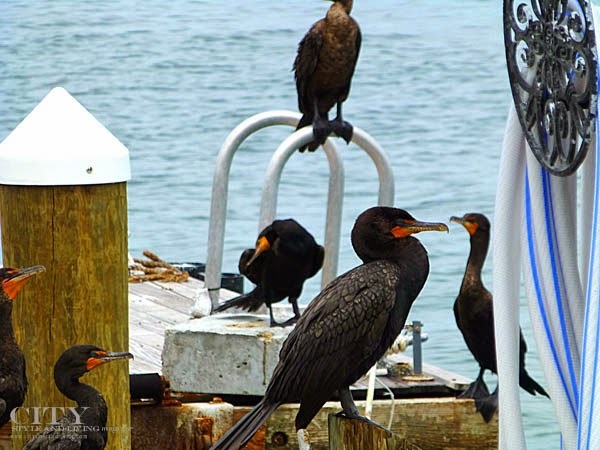 Cormorant birds can be seen on every dock. A fifteen minute boat ride, lead us to the secluded Little Palm Island. Our Island Elegance Suite/ Bungalow with thatched roof was spectacular- it felt like a treehouse on our own private island. Every morning, we stood on our verandah with a view of the blue ocean and we loved the outdoor shower and the spa terre coconut-mango soap was pleasantly intoxicating. At Spa Terre, we indulged in a relaxing deep tissue massage with masseuses Thekla and Ms. Fortuna. 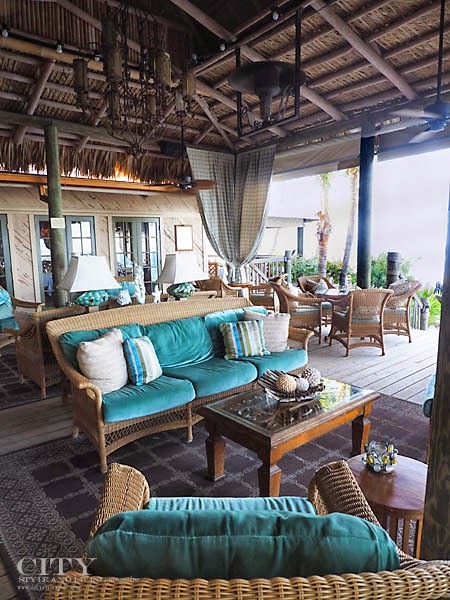 A look at Little Palm island outdoor lounge (left) and outdoor dining on the beach (right). A must at breakfast is the stuffed guava french toast with almond mascarpone cream with a cappuccino. The SLH, Santa Maria Suites (managed by Forbes Hamilton), was just a short walk to Duval St, and were elegant, refined and oh so luxurious. Our stay here was sublime.CSL's two-bedroom pool-view luxury suite felt like our own private villa or condominium complete with a laundry room, living room, fully equipped modern kitchen (pictured here), three 42-inch flat screen TVs, large closets and private patio in front of the pool. The little touches and attention to detail here were fantastic- every late afternoon, chocolate popsicles, chocolates and muffins were delivered. Poolside, smoothies, fresh fruit hummus and chips were available throughout the day while each night Santa Maria suites offered a happy hour. We can still hear the beautiful soft music played at night time in our heads. 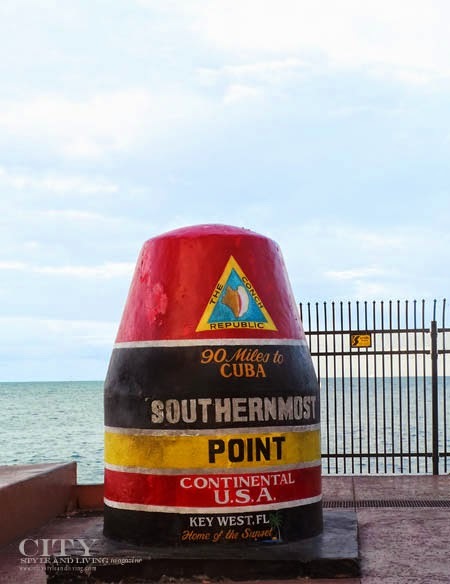 Southernmost Point- arguably the furthest point south in the continental U.S.A and a stone's throw away from Cuba. 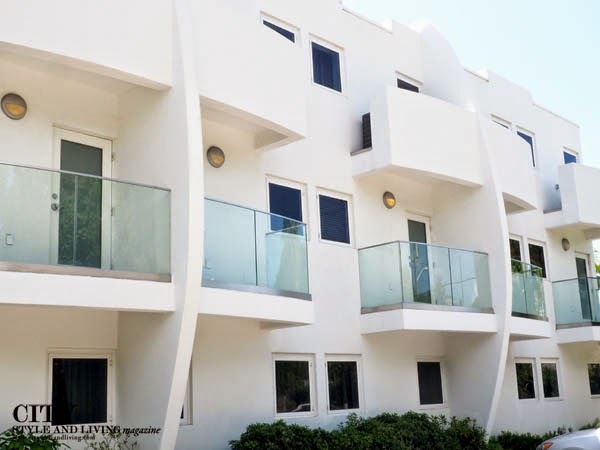 At Southernmost on the beach, we stayed in a comfortable 410 square feet partial ocean view balcony room. The resort was packed full of families who crowded by the pool to beat the sweltering heat. My massage was truly relaxing, and I enjoyed a cold beer on my balcony afterwards. 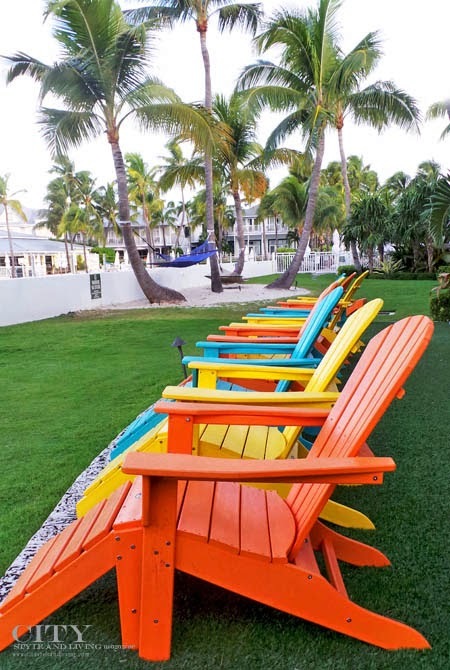 An array of colourful deck chairs at Southernmost on the Beach. One of CSL's travel teams just returned from beautiful (and extremely hot: ie. above 36 degrees Celsius!) 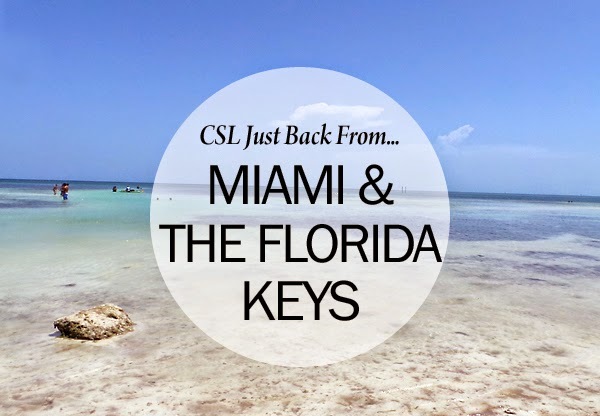 Miami and The Florida Keys- a bit of a girlfriend getaway focusing on rest, and relaxation. 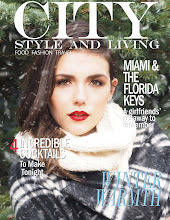 Read more about why you need to visit Miami and The Florida Keys in the Winter 2014/15 issue of City Style and Living Magazine. ***A friendly reminder, all photography on City Style and Living Magazine, Facebook Page, Twitter, website and Blog are copyright 2014 K&S Media. 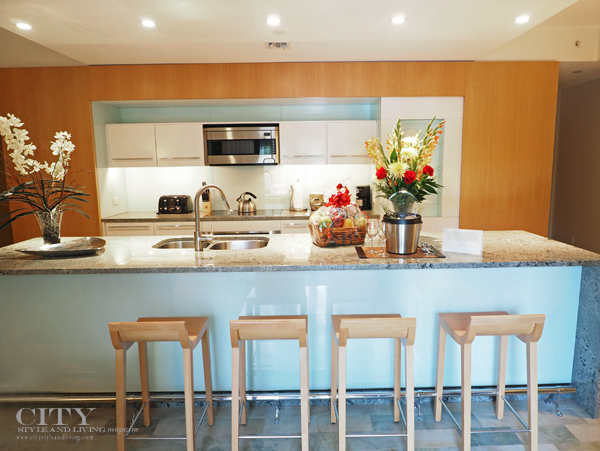 Please do not use elsewhere without the written consent of City Style and Living Magazine. Thank you kindly!